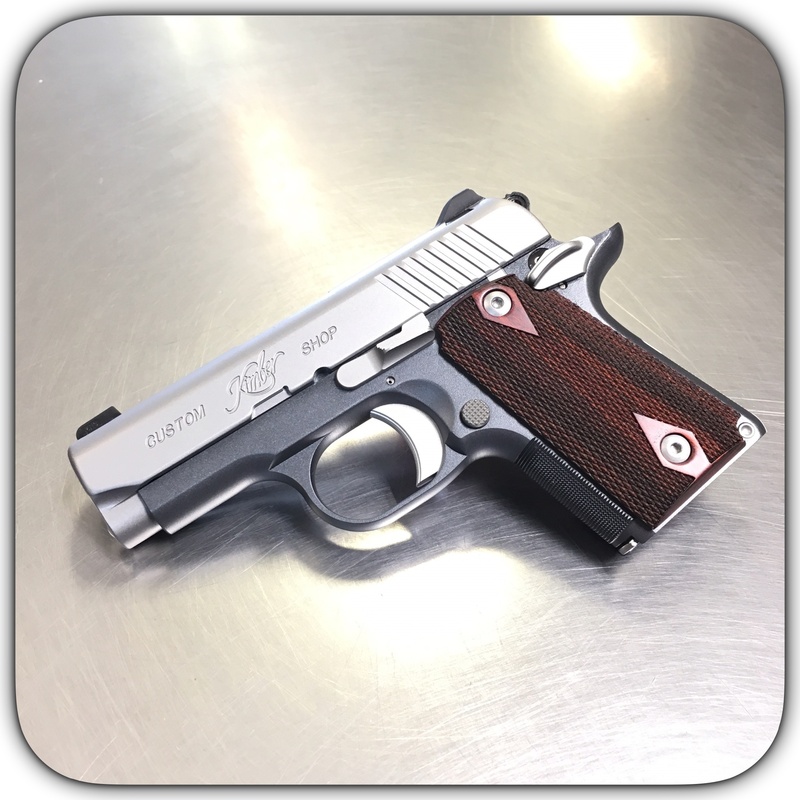 The Kimber Micro 9mm CDP Custom Shop Pistol is an ideal choice for concealed carry. Loaded with features directly out of Kimber's Custom Shop, this is the newest, lightweight, concealed carry single action pistol on the market. Pick Up Your's Today! This is the newest 2017 Kimber Micro 9 pistol. Buy The Kimber Micro 9 CDP Pistol Now. The CDP series is straight out of the Custom Shop and is loaded with features. This concealed carry 9mm pistol features a Carry Melt treatment that rounds and blends the edges so they will not snag, and the frame features the durable Kim Pro II Finish in Charcoal Gray with 30 Lines Per Inch front strap checkering. The CDP also features an ambi safety, fixed 3 dot tritium night sights, and rosewood checkered grips. Ships with Kimber gun rug & 1 magazine. Micro slides are made to the tightest allowable tolerances, with barrels machined from stainless steel for superior resistance to moisture. All Micro frames are shaped from the finest aluminum for integrity and strength. In many respects a miniature 1911, among the most important Micro 9 design advantages is a single action trigger with the kind of short, smooth pull that ensures accuracy and builds confidence. The thumb safety, slide release and magazine release are pure 1911 as well. Standard features include a lowered and flared ejection port for flawless ejection and a beveled magazine well for fast, positive loading. Sights are steel – not plastic – and mounted in machined dovetails for additional integrity. Each Micro 9 includes a flush-fitting 6-round magazine Ideal for shooters with small hands as well as those who insist on mild recoil combined with enough power for concealed carry or home protection, Micro 9 pistols are the right choice for many applications. Best of all, they offer unequaled Kimber quality, dependability and performance.